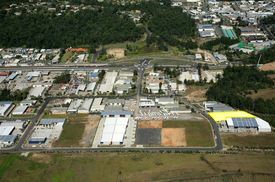 53 Commercial Real Estate and Properties in Sunshine Coast are listed in 8 categories. We have 131 Industrial Warehouses for Sale , 74 Retail Shops for Sale , 56 Offices for Sale , 53 Development Lands for Sale , 23 Hotels and Leisure for Sale and 5 Other Commercial Properties for Sale . We are seeking expressions of interest on this property, and make no mistake, this great site has to be sold. 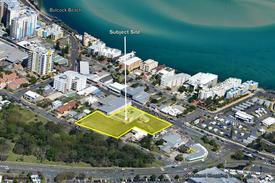 Great opportunity for an astute investor or developer to land bank for future development. 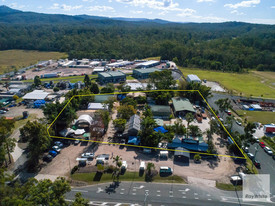 The property itself is a versatile sales yard or development site of 1,960sq m (approx) ideally located on the corner of Stevens Street and Farrell Street in the business hub of Yandina. + Zoned Local Centre + Two street frontages + Potential for retail, medical and mixed use development (STCA) + A short walk to the train station. A short drive to the Bruce Highway and approximately 20 minutes to Maroochydore and the Sunshine Coast Airport Call Matt Marenko on 0409 355 123 to obtain further details. This property boasts over 7,000sq m (approx) Medium Impact Industry zoned land in a prime position and includes a large shed and solid home. Situated within the Glanmire industrial precinct with easy access to the Bruce Highway and surrounding industrial facilities, the property would be an ideal location for owner operators to grow a business in this popular precinct. For land bankers or residential buyers, the home is ready to move in and the backyard is ready for your pony. + 7,421sq m parcel including 195sq m shed and a three bedroom brick home (sizes approx) + Zoned Medium Impact Industry + Excellent frontage to Laurenceson Road for access + Situated in the Glanmire industrial precinct amongst Hi Way 1 Truck Centre, Gympie Landscape Supplies, Bunnings and a number of other industrial users + Easy Access to the Bruce Highway + 120sq m (approx) shed includes concrete floor, separate workshop underneath and large entry + Three bedroom, two bathroom brick home. Rented until recently at $320 per week + Deadline private sale closes Wednesday 16 January 2019 Call or email Louisa Blennerhassett to inspect the property or to find out about other suitable options. Our team is strategically located in two offices across the Sunshine Coast region and is ready to handle your commercial, industrial and retail property needs today so call or email now. 546m2 land area District Centre zoning, suitable for numerous commercial, medical and retail uses Major Growth Population Corridor Modern style double bay garage at rear Previously used as a car sales yard Bathroom/toilet at rear of property Highly exposed to Nicklin Way offering maximum exposure to passing traffic Located in high profile position amongst other sales yards and major retailers Walking distance to Currimundi Marketplace For sale via expressions of interest. Contact our exclusive marketing agents Emily Pendleton or Michael Shadforth for further information or to arrange an inspection. Exceptional opportunity to secure a corner site of 1,960sq m (approx) with two broad frontages in the heart of Yandina's rapidly expanding CBD amongst cafe's, restaurants, IGA Supermarket, medical services and various retailers. + Corner site of 1,960sq m (approx) over two titles + Frontages to Stevens and Farrell Streets + Zoned Local Centre + Potential for commercial, retail, medical and mixed use development (STCA) + Vacant possession + Only moments away from the train station + Only approximately 20 minutes to Maroochydore CBD, beaches and the Sunshine Coast Airport Yandina is a rapidly expanding community with large pockets of residential and commercial developments located 100km (approx) to Brisbane and only a few minutes from the Bruce Highway. Call or email David Smith or Matthew Marenko to obtain an Information Memorandum or find out about other suitable options. Our team is strategically located in two offices across the Sunshine Coast region and is ready to handle your commercial, industrial and retail property needs today so call or email now. Ray White Commercial NCG are pleased to present to market for the first time the opportunity to secure a DA approved corner site of 2,541m2 with two broad frontages in the heart of Yandina opposite the IGA on a high traffic signalled intersection. 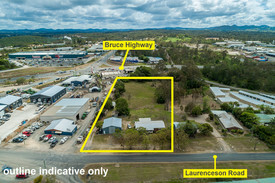 Corner site of 2,541m2 on one title Located opposite Yandina IGA complex Positioned on the corner of Old Gympie Road Farrell Street Zoned Local Centre DA approved for shopping centre including convenience, commercial, retail, medical, food beverage Prime exposure on thoroughfare Road to Bruce Highway arterial access Contact our exclusive marketing agents Michael Shadforth or Emily Pendleton for further information on this property. Designated 'Urban Footprint' in the recently gazetted SEQ Regional Plan Adjoining existing residential development Potential development options include residential subdivision, MHE, retirement and aged care (^STCA) In close proximity to schools, railway station, medical, Woolworths anchored shopping centre and Aldi supermarket 10 minutes from the Bruce Highway 25 minutes to Caloundra and Sunshine Coast University Private Hospital Expressions of Interest Closing Wednesday, 11 October 2017 4pm approximately ^Subject to Council Approval This property is being sold by Expressions of Interest therefore a price guide cannot be provided. The website may have filtered the property into a price bracket for website functionality purposes. Main Road Land Site $600,000 + GST (if applic..
Commercial/residential Development Opportunity $2,000,000 + GST if appli..
Ray White Commercial Northern Corridor Group are pleased to present to market for sale this prime industrial development site in a high exposure, central location. 6,257m2 Low Impact Industry Zone The property is strategically located adjacent to the Maroochydore Road/Bruce Highway intersection with a high level of exposure and ease of access in all directions. 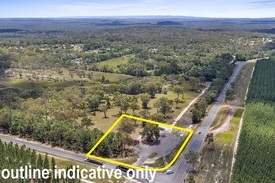 The Maroochydore Road/Bruce Highway intersection is one of the Sunshine Coasts most central intersections, providing access in all directions including: 11.8 km to Maroochydore CBD 14.5 km to Sunshine Coast airport Contact our Marketing agents for further information or to arrange an inspection. 2,930m2 Flat Industrial Land Medium Impact Industry Zoned 40m Frontage Business expanding to new premise and owners decided to sell Ample opportunities to be discussed Contact our exclusive marketing agents Michael Shadforth or Emily Pendleton to discuss in further detail. Maroochydore Land Site $1,300,000 + GST (if appl..